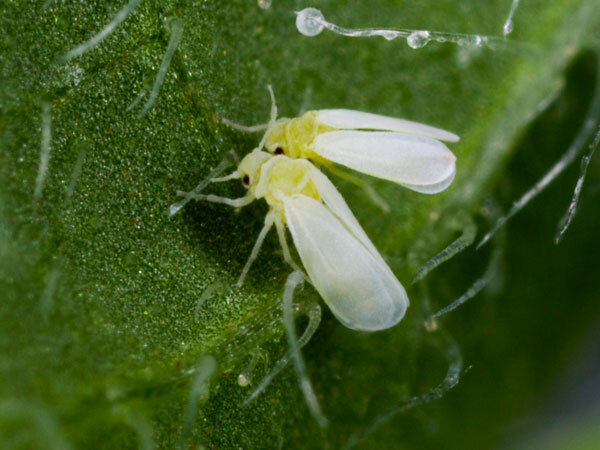 A friend of mine has been facing severe issues from a well known plant pest known as ‘Whitefly’. She called sounding worried as Whiteflies are troubling her garden esp her Jasmines; This has got me working on all the pests that are likely to have a good meal of your plants. Through this post and several others in the future we’ll explain how to get rid of these ‘buggers’. To tackle Whiteflies here are a few things that you can do. Whitefiles typically feed on the underside of plant leaves. Use your garden hose and use strong spray on bush. Ladybugs and spiders are probably your best friends when it comes to the war against white flies. Source them from your nearest nursery or make a conducive environment for them to flourish. Spray them with a water and dish washing liquid/soap mixture. The problem with soapy water is I don’t think it will kill all stages of white fly, only the adult stage. That means you will need to treat the plant about every three or four days for a couple of weeks to kill the two or three generations you might have on your plant. I’ve heard that covering a piece of yellow plastic (a big mustard jar was what was recommended) with Vaseline/glue/anything sticky like vegetable oil, etc works against whiteflies. They work similar to how those electric fly traps work. Be sure to spray the soil, that’s where they lay their eggs. Yep, simple ol’ earthworm poop! What to do…go out and get a huge bag of vermi-compost and put cupfuls around your plants. Turn the soil over a bit around where you put the compost. Water away as usual. That’s it! Somehow, the plant absorbs the ‘stuff’ and the nasty ol’ White Flies don’t like the way the plants tastes (I guess) anymore and won’t lay eggs on it. Isn’t that the craziest thing you’ve ever heard of? Practice companion planting [?] Companion planting is the planting of different crops in proximity (in gardening and agriculture), on the theory that they assist each other in nutrient uptake, pest control, pollination, and other factors necessary to increasing crop productivity. eg. Calendula like pot marigolds produce chemicals that repel them, while mint may serve either as a repellant or trap crop. The above should do wonders to your garden/farm. If you have any other suggestions do drop a comment below.